The King of Thailand – Born 05 December 1927 and died on the 13th of October 2016. Bhumibol Adulyadej or Rama IX (which means “Strength of the Land, Incomparable Power”). He was the longest reigning king in Thailand history and is the longest serving head of state in the world. He passed away at the age of 88 and was the longest serving monarch in history. 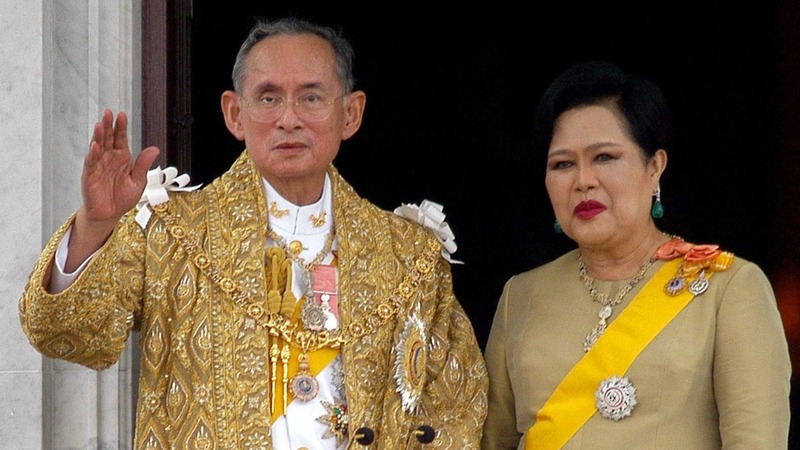 He started his ruling of Thailand on the 9th of June 1946, when he was 18 years old. The king gained the reign from his brother (King Ananda Mahidol) who was shot and killed. He was actually born in The United States because his father (HRH Prince Mahidol Adulyadej) was with his mother in Cambridge, Massachusetts. His father was there doing a Public Health program at Harvard University. He returned to Thailand in 1928 with his family but was sent to school in Switzerland to study his High School Diploma in 1933. The King of Thailand then attended university in Switzerland but returned to Bangkok Thailand after World War II. After a car accident in Lausanne on the 4th of October 1948, he met Sirikit, who visited him frequently in hospital. After courting for a while they were engaged on the 19th July 1949 and were married on the 28th April 1950, making her HM Queen Sirikit. 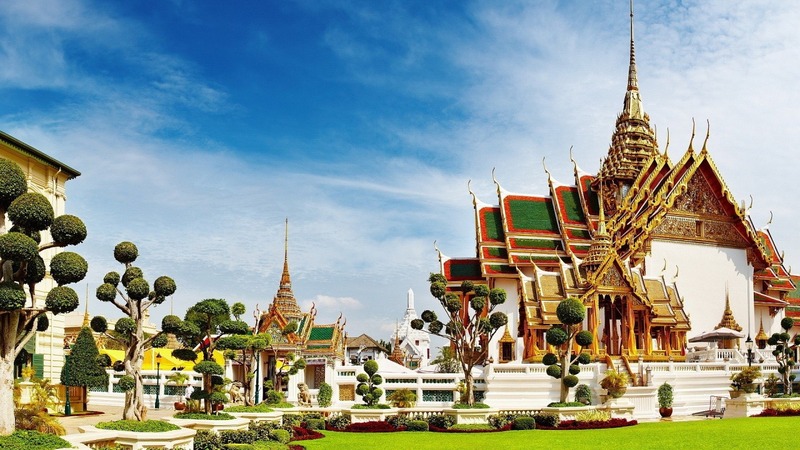 If you have been to Bangkok you would most likely know or visited “The Grand Palace”. This was where the monarchy resided until 1925, but they moved to reside at the Chitralada Palace (also in Bangkok). They then moved to Klai Kangwon Villa in Hua Hin but The Grand Palace is still used for official events by the King and government. The Thais respect their king. It is an actual offence to talk badly about the king or act badly towards the king. It is punishable by up to 15 years in prison. In Thai movie cinemas people will also stand before the start of the film and sing ‘San Sern Pra Baramee’, which translates to “Bless the King”.